This nurse was tortured with horrible pain for years, with her treatment including a cocktail of powerful pharmaceutical drugs and a Microvascular Decompression Craniotomy. She continued to get worse to the point that she contemplated suicide. Fortunately she was referred to Dr. Eriksen for treatment and her life was returned to normal. This college student slept an average of only two to seven hours per week for about two years prior to seeing Dr. Eriksen. She had been previously evaluated and treated medically without success. After getting her upper cervical spine corrected she was able to sleep about eight hours per night after a few visits. This sweet lady suffered debilitating bouts of vertigo that would cause her to be bedridden for days. Her dramatic and rapid results from Chiropractic care have been long-lasting as she has needed an Orthospinology adjustment an average of less than twice per year for over eight years of care. This patient describes how her cardiovascular system appears to respond after receiving an upper cervical adjustment from Dr. Eriksen. She mentions how her medical doctor recommends chiropractic care, and even shows the dramatic before and after readings on her blood pressure machine. This patient recounts how he had suffered with chronic neck and back pain, along with headaches, disequilibrium, breathing trouble, speech difficulty, and muscle twitching/jerking. He describes his satisfaction with Dr. Eriksen's Orthospinology care and how his relief and improvement was worth the long trip, since medical care failed. This patient describes the care her sister received from Dr. Eriksen after travelling from her home in Switzerland. She had many symptoms related to what her medical doctors thought was MS, which caused her to be in a wheel chair. Her response to care was quick and amazing, and enabled her to be able to walk with a cane and improved many other symptoms. This medical physician discusses how upper cervical chiropractic care dramatically helped her frequent headaches. She even discusses a possible correlation between her cardiovascular function and Orthospinology care. This video shows Dr. Eriksen adjusting her with Torque Specific Instrument. 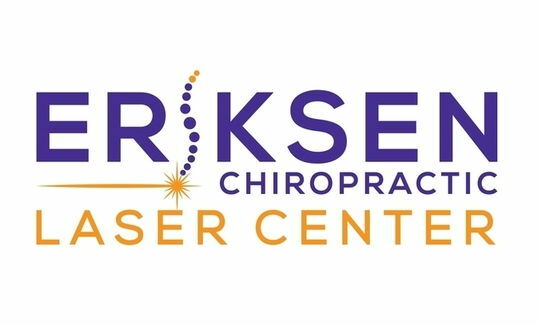 This nice lady describes how Dr. Kirk Eriksen was able to reduce her neck pain by 95% rather rapidly since the beginning of her upper cervical chiropractic care. Her chronic migraines diminished dramatically and she no longer has to take the cocktail of various medications to deal with the headaches. This video shows Dr. Eriksen performing a Grostic hand adjustment. The patient then discusses how her life has been changed by receiving this care. She had been plagued with severe migraine headaches that caused her to be hospitalized and receive shots. Upper cervical care provides her with dramatic relief. Chiropractic care is not the treatment of diseases and conditions, rather it is the detection and correction of spinal misalignment's which are causing stress on the nervous system. This allows the patient's body to function at a more optimum level and improve the ability to be healthy and well. "Thank you so much for the relief of pain that I have endured for over 20 years. Medical treatments previously given to me were: massive amounts of anti-inflammatory, Humira, Enbrel, Remicade, Minocin, anti-depressants, etc. ; numerous physical therapy treatments; psychotherapy; acupuncture; pain management clinic (Gabapentin in high doses, oxycontin). The side effects have been numerous: severe case of shingles from too much Remicade with lingering PHN, severe constipation with lifelong/life-changing consequences (see surgical procedures & medical history) and attempted suicide. Oh, one more: at least 50 trigger- point injections in UE & same number in lower back. I am only one patient but I have a unique perspective as a 35 year career in nursing. You are on to something. I would ask that you continue active research with a focus on cervical realignment in management of FM. Again, I express my gratitude for your expertise and care. You have truly made a difference in my life."